I met Rodrigo Soto back in 2012 when I was visiting the Veramonte winery in Chile. (Sidebar: they have a really cool antique corkscrew collection there.) He’s been at the forefront of converting vineyards to organic farming for the Ritual, Neyen, Primus, and Veramonte labels. Recently I had a chance to reconnect with him for an informal chat over some coffee. (We met at 8:30am, not prime wine time.) Before he caught a train to go up to Westchester (which gave me unpleasant commuting flashbacks), he left me with a couple bottles to take home. Two of the topics covered I’d like to address here. One is the question of price and the other is regionality. And this first bottle points to both. 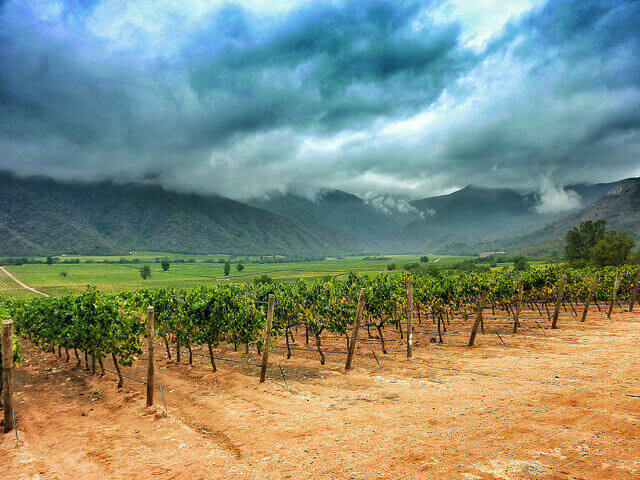 One of the issues facing the wines of Chile is most people hear “Chilean wine” and only think “value.” Or the dreaded “cheap.” There is no denying that Chile has very high-quality wines at excellent prices. I’ve been a huge fan of its Sauvignon Blanc (and more) for that reason. While there are some iconic (red) wines that command high prices, like Santa Rita Casa Real, Concha y Toro’s Don Melchor, and Casa Lapostolle’s Clos Apalta, it’s more of a slog for white wines. 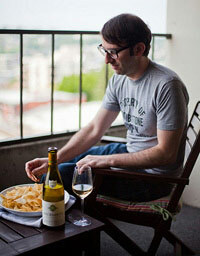 How do you get people to consider Chile a source for wines that cost $20, $30 and higher? If I gave you $50 and said get any wine you want, would Chile cross your mind? 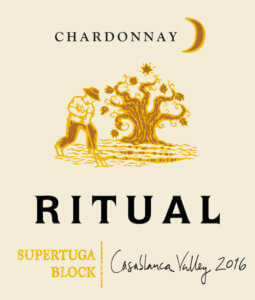 Consider a wine like the Ritual Supertuga Block Chardonnay. It’s fermented in big ol’ oak barrels but only 18% of them are new. So you get more texture and less oakiness. (Some of the wine is also fermented in concrete eggs, which I’d call hip but they are getting so popular I don’t even know if that’s accurate anymore. Ok, they are still cool.) It’s rich, it’s elegant, it pleases. So the Veramonte Pinot Noir (screwcap closure, BTW) has a little bit of oomph. It’s not a light, delicate wine but more medium-bodied. Nice to note it’s 100% Pinot Noir. A lot of cheap Pinot has just enough Pinot Noir to be labeled as such, usually pumped-up with Syrah or whatever other grapes are lying around. In conclusion: Chile is worth your premium dollars and is a multi-faceted country when it comes to regional wine nuances. You don’t have to spend $50 to experience this but if your ceiling for Chilean wine is, say, $15 and under, don’t hesitate to get into that $25+ range. Thanks to Rodrigo Soto for his time and a thought-provoking conversation. It’s definitely the most consideration I’ve given wine at 8:30 in the morning, and possibly later in the day, too.